These are the professionals who volunteer their time to promote theatre in Santa Fe. the Folger Shakespeare Library and other institutions. He now heads The Shakespeare Guild, most of whose events take place in New York and London, but he's eager to do what he can to help establish Santa Fe as a major destination for theater-lovers. Zoe recently moved to Santa Fe from Wichita, KS, where she spent more than a decade acting, directing, stage managing, and teaching theatre to K-5 and 9-12 grade public school students. In addition to teaching and her other theatrical endeavors, she is a theatre critic, covering Santa Fe and Albuquerque performances for BroadwayWorld. Following thirty years in Hollywood as a director, Janet moved to Santa Fe full time in 2003 and has been involved in many projects. She is a member of SAG/AEA/DGA and a few others. Producer of Tony award winning play, Say Goodnight Gracie; past Board member of The Flea Theatre, NY; forty years’ experience in international business as a Management and Marketing Consultant, Partner, Hanson Green, London; Country Manager, NutriSystem, England; Executive Coach, Senior Management New York. Barbara is an actress, director, teacher, and currently teaches theatre at the New Mexico School for the Arts. She was the Managing Director for Theater Grottesco for five years. Vaughn is the Artistic Director at the Santa Fe Playhouse. Originally from right here in Santa Fe, Vaughn holds a BFA in Music Theatre from Illinois Wesleyan University. He has acted in or directed more than fifty professional shows in eight states and Washington, DC. Jackie spent 42 years as a newspaper reporter/editor in Huntington, WV; Columbus, OH; and Santa Fe, NM (reporting for the Albuquerque Journal). Most of the time was dedicated to hard news, covering local and state government, then health and medicine, with the final few years in Santa Fe enjoying the opportunity to write about arts and entertainment. Argos is a poet, actor, director, and all-around stage hand. He has worked with many theatre companies in Santa Fe and is a co-founder of Teatro Paraguas. Jim retired to Santa Fe in 2000 after nearly four decades in advertising and marketing. In Chicago, he created / published the smARTbook, a guidebook to the arts, and spent five years as President of the Board of City Lit theater company. Jim is currently on the board of Creative Santa Fe and an avid theater goer. Talia recently moved to Santa Fe after many years of acting, directing, writing, and designing for theatre and film, and teaching theatre at the University of Winnipeg. She is a member of SAG-AFTRA, CAEA, and DGA. Talia also has extensive experience in arts administration. 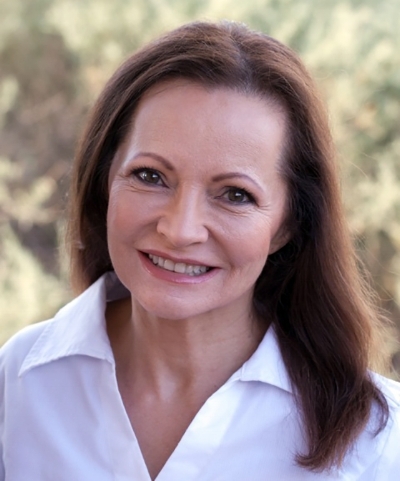 Danielle has been an actor and fitness professional in Santa Fe for more than fifteen years. She is currently a company member of Theater Grottesco. Karen’s love of and participation in the performing arts has been present throughout her adult life. She is excited to be part of TSF’s mission to support and promote our community's theatrical talents.